Set of 5 flat letterpress notecards, measuring 4×6″, with matching metallic navy envelopes. There’s nothing quite like a handwritten note in the mail. These letterpress notecards are the perfect way to let someone special know you are thinking of them. 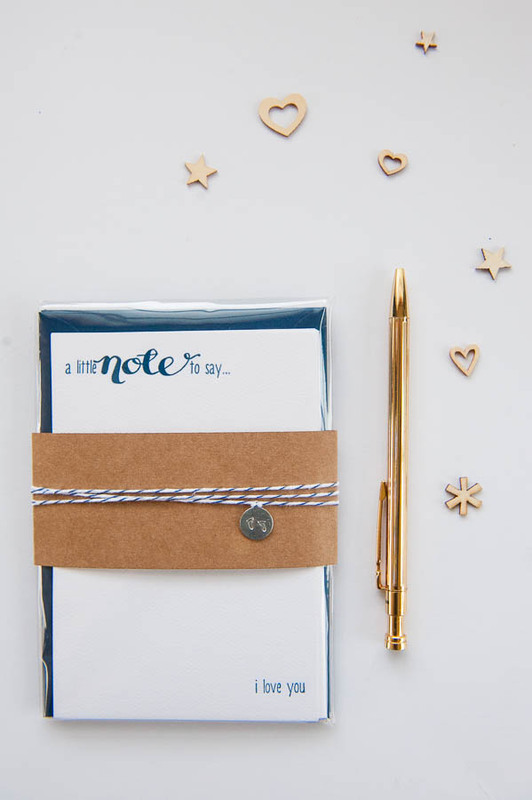 This set of flat notecards is printed with “a little note to say… get well soon”, for those occassions when an email just won’t cut it, and comes with matching navy envelopes. Since I first fell in love with the art of letterpress, I have had a mind full of ideas to create my own letterpress plates, and these notecards are the result. Printed from plates I designed using my own calligraphy in combination with a hand-drawn font (used with the designers permission), and then letterpressed with navy ink on beautiful 300gsm paper, these 4×6″ notecards are something I am really excited about. 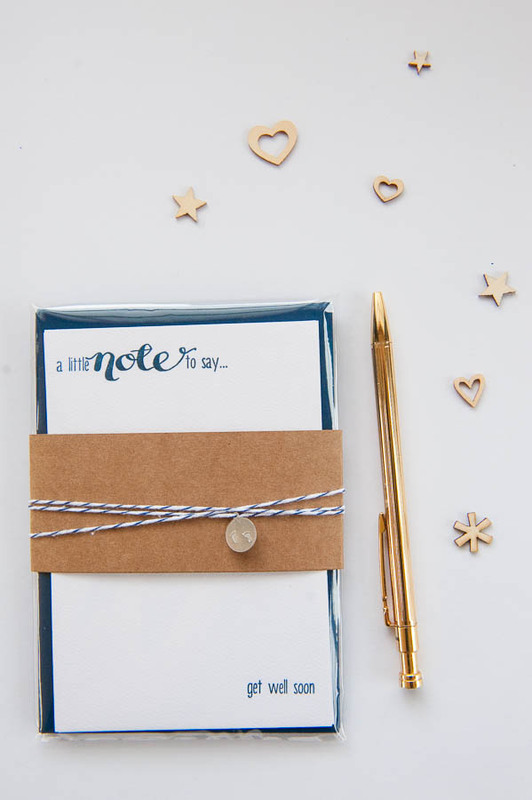 This set of five comes with co-ordinating metallic navy envelopes, wrapped in kraft card & twine with a handstamped “barefoot” charmed, before being protected in a cello sleeve. All stationery sets ship free within Australia.